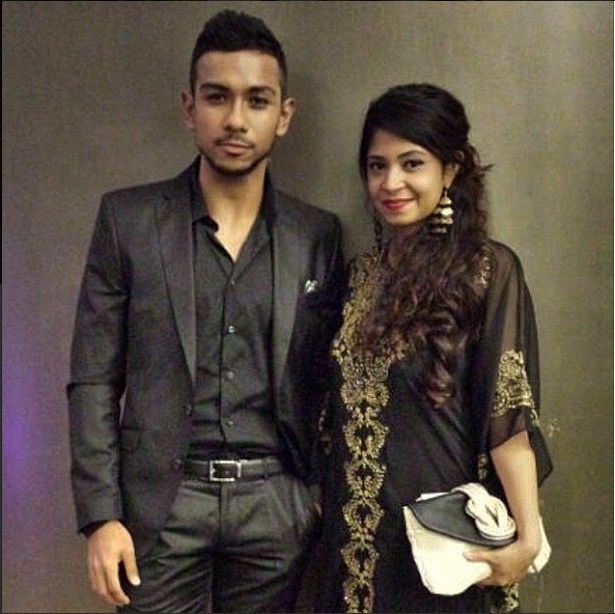 First of all I would like to congratulate our soon-to-be-wedded first Singapore Idol, Taufik Batisah, on his impending marriage to Ms. Nurshaheena Akbal Ahmad, or whom most of us know her as Sheena Akbal over the last few days, when active paparazzis and CSI investigator-wannabes made so much effort to dig out information on the bride-to-be. I can understand such a happy news involving one of our own beloved sons of the country would make the media go into an overdrive and frenzy, as each one will be clamouring for eyeballs on their respective sites. However, I just find it a little distasteful that such intrusive tactics have inadvertently shoved the spotlight on Ms. Sheena Akbal, with some sites being so inquisitive as wanting to highlight the fact that they were following each other on social media, just to prove their point that they are having a relationship. My first thoughts when I saw that was, “So what?? ?” Each person has his or her own prerogative to follow or be friends with whom they deem fit to do so. This unnecessary stalking has resulted in the poor girl deleting her Twitter and Facebook accounts, from what I heard. I know and have also been informed by a few kind souls that the media culture outside Singapore is very competitive as they compete for not only eyeballs, but advertising and monetary opportunities from the number of visitor-ships. In the United Kingdom and even the United States, they have designated paparazzis following personalities wherever they go. It can be very suffocating for those who are used to the scrutiny, what more those who are instantly thrust into the limelight. I am just thankful that the local media here in Singapore are a respectful bunch in that they try to respect the artistes’ privacy as much as possible, even if they too can be very inquisitive and intrusive unbeknownst to us sometimes. Actually I’ve heard of this piece of good news months ago. Just that I do not know exactly when is the actual wedding date nor the name of his bride-to-be. I just knew that wedding bells are gonna ring for him pretty soon. Why I did not share it in this domain of mine or on my own personal social media accounts is because I’ve always maintained a strict principle to respect other people’s privacy. Such news will eventually be made known sooner or later. I saw no need to share it out of respect for Taufik and also because I did not hear it from the horse’s mouth himself, even if I could have asked him from the number of times I met him in the last year. It would be very unfair of me to share it with others when he himself had not come out officially to talk about it. Thankfully now that he has made his official announcement earlier today, I can at least share my thoughts over the last few days when news first broke on the front page of last Saturday‘s Berita Harian. Other than what I deemed as a “witch-hunt” to know the identity of the bride-to-be, I was also a bit uncomfortable seeing some of the comments made by some of his overzealous fans. Relax ladies, it’s not that you and him had something personal going on in the first place. The world doesn’t end with him getting married and you are left all alone (or for those who are already married but still pining secretly for him, with your hubbies). Though I have yet to see most of the comments on social media, I have heard that some of these fans have been a bit unkind and have made spiteful remarks against Ms. Sheena Akbal, either for her looks, her fashion sense, the way she dressed or even her personality. The term “Hell hath no fury like a woman scorned” seems apt in this case. Grow up ladies and snap back to reality!!! What do you gain from making all these negative remarks??? Some of you should feel ashamed of yourselves for being bitter, ungracious and judgmental. What is more appalling is that some of you who have made such remarks, are donning the Hijab. Is that a good reflection on yourselves??? As ardent fans, you should be praying for the best for the couple as they embark on this new journey in their lives. If you claim that you love and respect the guy, then please jolly damn well respect and embrace his choice of whom he chooses to spend the rest of his life with. Beauty is afterall in the eye of the beholder. She might probably not be as hot as some of you might think he deserves to be with (i.e. yourselves), but she is perfect in every sense in his eyes, so live with it!!! And this just in. A kind FB friend alerted me to the availability of the wedding invitation card now currently spreading around on social media. I am loss for words and just too amazed that there are disrespectful people out there who do not for once think of the repercussions of doing such a thing. Please spare a thought for the family on both sides who would have to receive a large number of gatecrashers and uninvited guests. Stop spreading those images of the invitation cards. Please!! !